Mr. Donald Wayne Robinson, 69, of Page Rd. Godwin entered into his eternal life on Friday, November 9, 2018 at the Kitty Askins Hospice Center in Goldsboro. Donald was born July 16, 1949 to the late Walter Roger and Ethel Eunice Emanuel Robinson of Sampson County. He also was preceded in death by his brothers, Fennis W. Robinson and Ronald K. Robinson. Donald was a gas delivery driver for Diversified Energy of Dunn. 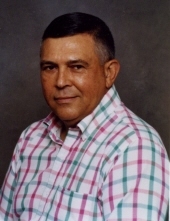 He was a former owner and operator along with two of his brothers of a sow farm in Autryville he also worked for many years for what once was Autry Brothers Milling Company until the change to General Grain of Autryville. Donald served on several committees throughout the community to include the Coharie Intra Tribal Council. He also served on the board and was an elder of Shiloh Pentecostal Holiness Church. A funeral service will be held at 3 p.m. Wednesday, November 14, 2018 at Shiloh Pentecostal Holiness Church with Rev. Eddie Smith, Rev. Ricky Jacobs and Rev. Stevie Jacobs officiating. Burial will follow in the church cemetery. He is survived by his wife of 50 years Christine Oxendine Robinson of the home; children, Shelby Autry (Christopher) of Salemburg, Wayne Robinson (Candice) of Goldsboro, Fennis Robinson (Cynthia Coleman) of Fayetteville and Brandon Robinson ( Brenda Pariseau) of Godwin; brothers, R.L. Robinson (Avis) of Autryville and Hal Robinson (Lela) of Wade; sisters, Becky Brown ( Eddie) of Lexington, Reba Dore (Joe) of Grays Creek and Pamela Norris (Andy) of Falcon; grandchildren, Anthony McMillian (Lenee) of Pasedena, Texas, Johnathan Morrison, Goldsboro, Cheyenne Autry of Salemburg, Lakhota Robinson of Goldsboro, William Coleman of Fayetteville, Jeremiah Autry of Salemburg, Alyssa Morrison of Goldsboro, Caitlyn Robinson of Fayetteville and Cameron Autry of Salemburg; great grandchildren, Nickolas McMillian of Price, Utah, Savannah McMillian and Gabriel McMillian both of Pasadena, Texas. He is also survived by a host of nieces, nephews, co-workers and friends. The family will receive friends 6-8 p.m. Tuesday at Skinner & Smith Funeral Home in Dunn and at other times at the home. Memorials may be made to the Caring and Giving Ministry at Shiloh Pentecostal Holiness Church 2271 Aurty Mill rd. Godwin, NC 28344. To send flowers or a remembrance gift to the family of Donald Wayne Robinson, please visit our Tribute Store. "Email Address" would like to share the life celebration of Donald Wayne Robinson. Click on the "link" to go to share a favorite memory or leave a condolence message for the family.